AMHERST, N.Y. – Dr. James Pula, an award-winning Polish-American historian and noted scholar, will give the keynote address at a symposium on Polonia and Polish independence being hosted by Daemen College on Sept. 22. The one-day symposium, “For Your Freedom and Ours: Symposium on Polonia and the Struggle for Polish Independence,” is free and open to the public. Pula’s address, “The Fourth Partition and the Restoration of Polish Independence,” is scheduled for 7 p.m. in the Wick Campus Center Social Room. 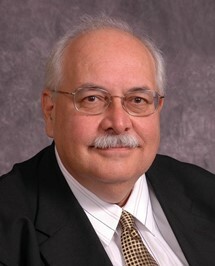 A professor at Purdue University Northwest, he has published several books and articles on Polonia and specializes in ethnic and immigration studies. A performance by the Chopin Singing Society of Buffalo will immediately follow the lecture. Panel discussions for the one-day symposium, which will be held in Room 120 in Daemen’s Research and Information Commons, will include: 9 a.m. to 10:30 a.m. – Polish-American Relations and Polish Independence; 10:45 a.m. to 12:15 p.m. – Buffalo’s Polonia and Polish Independence; 2 to 3:15 p.m. – American Responses to Polonia; and 3:30 to 5 p.m. – Polonia’s Perceptions of Poland’s Independence. The symposium is being co-sponsored by the Daemen Center for Polish Studies and History and Political Science Department, Permanent Chair of Polish Culture at Canisius College, Polish Cultural Institute New York, Polish Arts Club of Buffalo, and the Society of Friends of Learning in Przemysl. For additional information, contact Dr. Andrew Wise at 839-8281 or awise@daemen.edu.